At this point in time everyone should know exactly who Colin Kaepernick is and what he stands for. 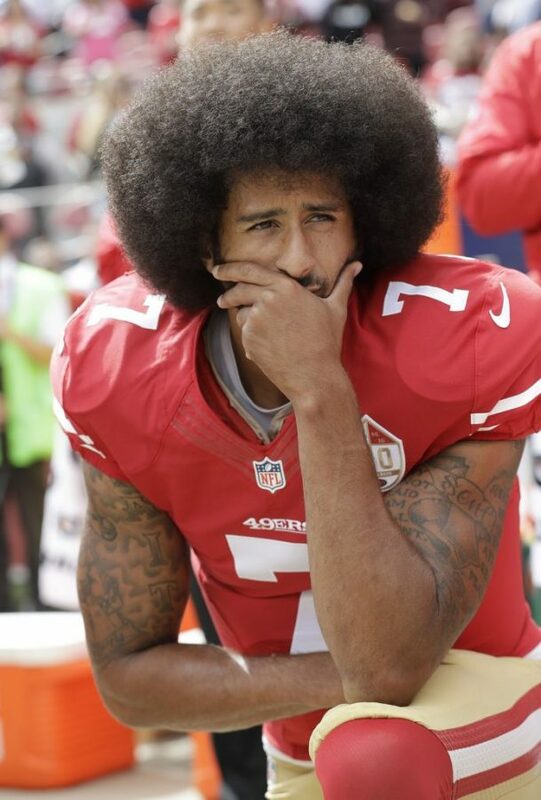 For those who don’t know, Kaepernick is a former San Francisco 49ers quarterback, who chose to kneel during the national anthem of a preseason game back in 2016, and continued to do so throughout the season. He took a stand against police brutality, using his voice and his position as a NFL player to effect change in the country. Kaepernick felt the same as a good portion of our country felt — that the authorities received paid leave and are getting away with murder. Kaepernick was then cut from the 49ers and hasn’t been signed to a team yet. 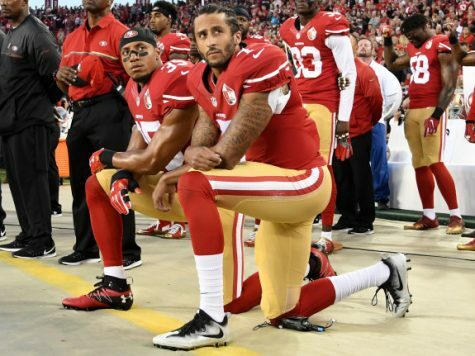 He’s a former All-Pro quarterback for crying out loud, so it’s ideal to say he’s getting blackballed for starting such a huge moving protest in the NFL. Kaepernick won’t go unheard or rest until justice is served to him. He still isn’t ready to call it quits. Yahoo Sports Charles Robinson reported that Kaepernick’s legal team wants to depose a number of NFL personnel, including commissioner Roger Goodell, and his wife Jane Goodell. They’re not the only ones on the cusp of being deposed — the list includes owners Jerry Jones (Dallas Cowboys), Robert Kraft (New England Patriots), Bob McNair (Houston Texans); coaches Pete Carroll (Seattle Seahawks), John Harbaugh (Baltimore Ravens); general managers Ozzie Newsome (Baltimore Ravens), John Schneider (Seattle Seahawks); executive vice president of operations Troy Vincent and senior vice president of player engagement Arthur McAfee. Another massive figure that could be desposed is Papa John’s CEO John Schnatter. CBS Sports’ Jason La Canfora reported that Schnatter stepped down from his role at the company last December after receiving criticism for claiming the NFL’s player protests were hurting Papa John’s sales. Kaepernick’s resilience will never die. I had a chance to speak to the AIC community about the Kaepernick situation — I sat down with Deshawn Givens and Alex Silva to get their takes on Kaepernick. Ventine Richardson Jr.: Has Colin Kaepernick inspired you? VRJ: Would you personally do what he did to stand for a national outcry? VRJ: What would you like to happen to Kaepernick? VRJ: How would you feel if your father lost his job for standing up for something he believed in? VRJ: Do you stand for what Colin stands for? Kaepernick attempts to affect the country in more ways related to his situation. The former QB and massive music mogul P. Diddy have been rumored to have interest in purchasing the Carolina Panthers to become co-owners of an NFL franchise. Wow! Talk about history in the making.